The latest quarterly Business Expectations Survey (BES) and Consumer Expectations Survey (CES) of the Bangko Sentral ng Pilipinas (BSP) indicate a positive outlook for the first quarter of the Philippines’ economic status. According to both surveys, the confidence indexes show promise for the continued economic improvements felt by both business owners and individuals. Expansion of businesses and new product lines. In the case of CES respondents, their optimistic outlooks were based on their expectations of additional or higher Income, improvement in peace and order, availability of more jobs and good governance. According to BSP, the respondents have a more “bullish” output for the upcoming quarter (Q2 2019). The increase in tourism demand, enrollment and harvest periods, high production volumes, and the influx of construction projects for public and private sectors attributed to the rise of business confidence for Q1 2019. Businesses in the construction industry continuously receive public and private infrastructure programs and projects at the start of the year. It is expected that these upcoming ventures will continue to thrive in Q2 2019. Meanwhile, the trade industry expects better outcomes and its demand dwindled right after the Christmas season. Its business conditions suffered from competition with shopping malls and supermarket chains, and the continued rise of fuel costs because of TRAIN (Tax Reform for Acceleration and Inclusion) law’s implementation by the government. Consumer confidence improved across various respondents from different income groups. The lower income group show less pessimism, while it appeared positive for the middle-income group, and more favorable for respondents in the high-income group with the anticipation of more income and additional working family members. BSP also states that consumers expect to spend less in the next quarter. Their spending outlook declined to 39.6% from the previous quarter’s 42.3%. However, consumers still expect inflation and interest rates to rise. Contrary to what businesses expect, the Philippine peso might also decrease during the remainder of 2019. Leandro Hulog is a Contributor for AHC Certified Public Accountants Limited Co. He writes content with the CPA's guidance to provide readers with a clear overview of each accounting, bookkeeping and taxation needs. 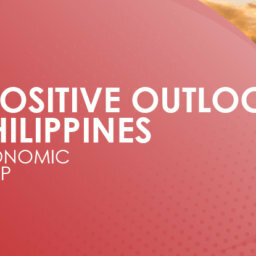 ADB’s 2019 Asian Development Outlook (ADO) shows that the Philippines’ gross domestic product (GDP) is expected to grow at 6.4% in 2019 and 2020 from last year’s 6.2%.